Inspired by the 70's revival and popular with celebrities like Kendall and Kylie Jenner and Karlie Kloss. 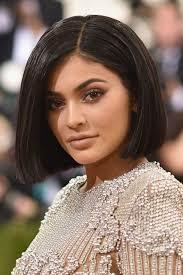 A new shorter length is set to be the standout hairstyle for 2019. Blunt cuts suit all face shapes because the length can be adjusted to flatter the face, while the bluntness can help thicken up thin hair or soften thick hair. 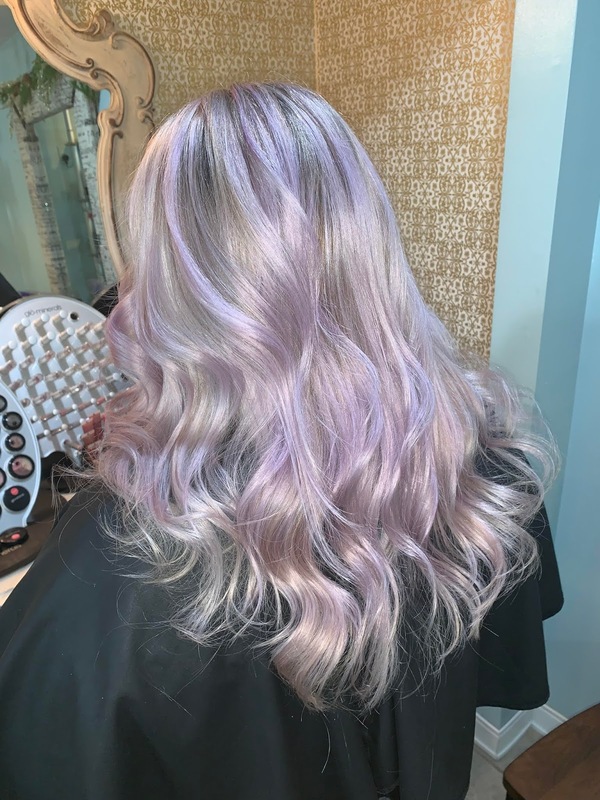 Age exclusive hair has finally blossomed in the beauty industry, which means individuals are not only dying their hair a fashion forward silver but are embracing their natural gray hair. Curls and waves are moving out. Straight shiny hair is back! Get your straighteners ready! 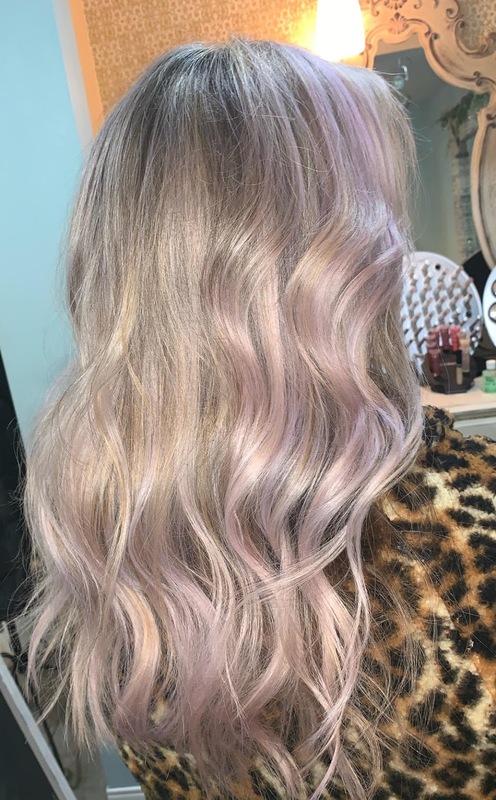 Pastel tones are the newest trend with still looking like an adult. 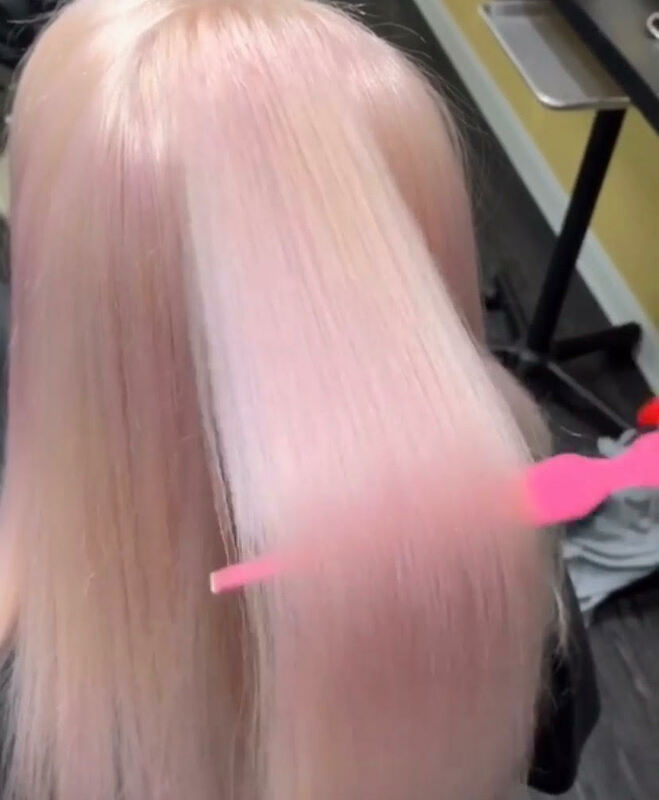 A fun way to add a little pop but, still look professional. 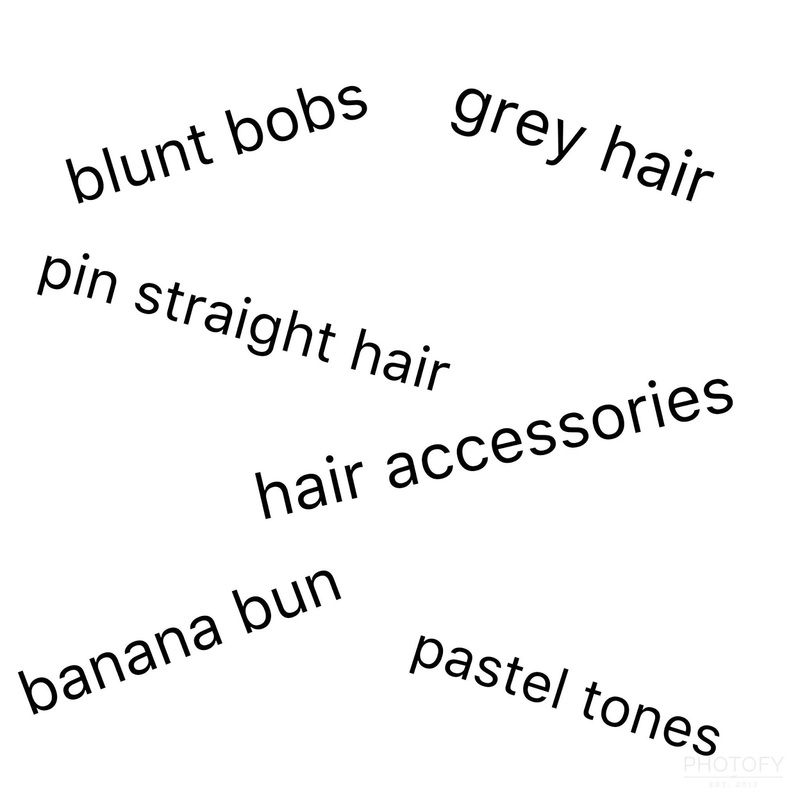 From bows, ribbons, headbands, and clips they are making a comeback. Any shape and size! 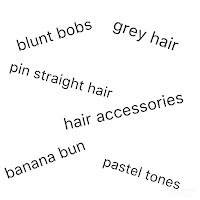 Instagram famous hair trend. The terms french twist and loose chignon are getting thrown around quite a bit, but its basically a glorified messy bun on a slant. 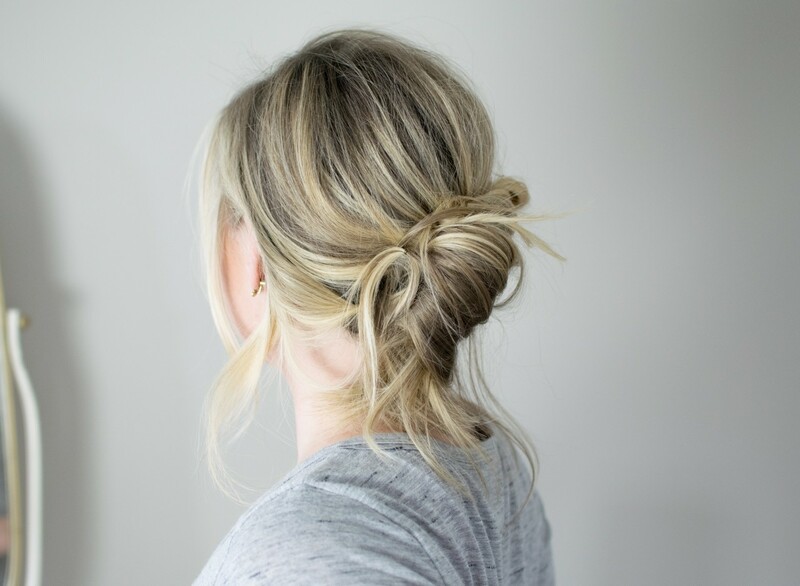 This trend is the new "top knot" for those lazy days. Going out this Valentine's Day? or just a night out with the girls! Our hair color and hairstyles are a large part of our identity. When we change our hairstyles and hair color we mentally take on a different persona. Not only for ourselves but for others also. A change in hair style or color is uplifting and refreshing. Pamper yourself! I think changing your hair can change your life and perspective on things. It may sound silly, but new hair alters our confidence. A lot of women love wearing wigs, hairpieces, and extensions. It makes them feel like a different person. "What do you have in mind? ", your answer should be "Change". If anything do it for yourself, you deserve it! Take a look at these before and afters who were inspired to "change" it up! For the month of April these lovely treatments are on special! Lasio is made for hair of all types- curly, color treated, fine, frizzy, dry, and damaged hair! Some believe that if your hair is dry and distressed, treatments will only cause more damage, but that is not true! It will actually do the opposite! Dry strands, dull hair, split ends, and frizz are symptoms of damaged hair. Our hair is delicate, and unfortunately, it doesn’t take much for it to become damaged, but restoring hair is possible it will just take time and Lasio! 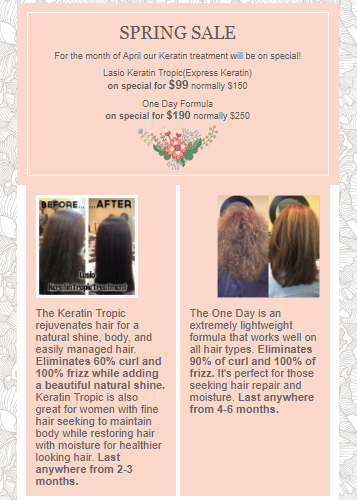 If you love your curls and want to embrace them then Keratin Tropic is the option for you. It will slightly stretch your curl and eliminate 100% of frizz. One Day formula is perfect for you. weigh hair down creating a flat deflated look. Let’s turn up the volume with Lasio! Go for a lightweight keratin formula. Keratin Tropic is perfect for those with fine hair. It will eliminate frizz while still maintaining volume. Life is easier when your hair is frizz-free! This provides a smooth surface for your tan. If you are using Dove products please stop using them at least two days prior to your tan and for the duration of the tan. Dove soap and lotions leave a film on your skin that will result in a blotchy tan. Do NOT use moisturizes 24 hours prior to your tan as they act as a barrier to the spray tan solution and can cause uneven, streaky effects. Do not shower or sweat excessively for the next 4-6 hours(overnight is always best) after your tan. This allows your tan to fully develop it’s color. If you don’t shower until the next morning, make sure to wear loose fitting pjs to bed. After your tan is done developing you can moisturize. Moisturizing will help maintain the tan. Dry skin can cause the tan to fade faster. Moisturize twice daily and after the shower. Salon Bridgette recommends the Hempz brand. We find it works the best. Swimming pools, hot tubs, and long HOT baths or showers can fade your tan. Remember friction is a sunless tan killer! Click the link below to take a more detailed look into our magical princess party! Click to see more about our Princess Party! Why is Balayage so Trendy Right Now? Our guest are seeing Balayage on the catwalks and red carpets. All the models and A-listers are wearing it. Balayage is a French word meaning to sweep or to paint. It allows for sun-kissed natural looking hair color. It gives a softer and less noticeable regrowth line. There is very little maintenance which is perfect for the busy mom, college student, or woman on a budget. It grows out beautifully and more naturally compared to highlights. 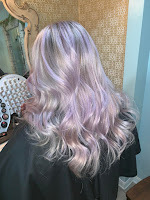 Balayage works on both light and dark hair, or even if you have gray! Have a picture of what you want. Everyone sees color a different way. If you cannot find a picture of exactly what you want, try to look for one with the tones you would like to see. Have a successful consultation with a professional colorist that listens thoroughly to the guest. Being aware the desired result may take more than one session to achieve. Using professional haircare products to maintain healthy, beautiful hair. The art of Balayage is taking over the beauty world as well as ombre and color melting. Communication is the key to a successful service by a professional colorist. Call and make your appointment for your free consultation! Below are some beautiful Balayage, ombre, and color melting pictures done by Salon Bridgette's Beauty Team! © 2017 Salon Bridgette. Simple theme. Powered by Blogger.